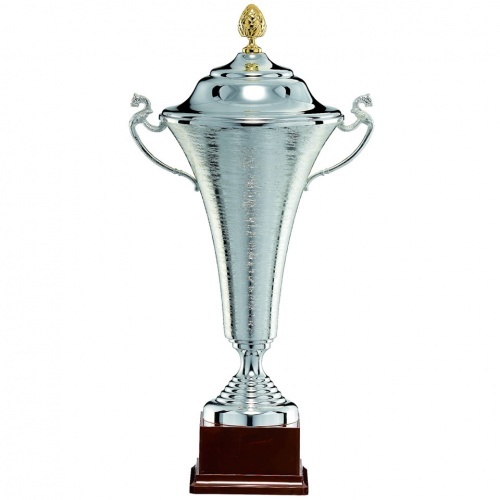 Superb silver plated trophy cup with modern brushed metal finish on the body. These two-handled trophies include a silver lid with gold plated decorative finial, stepped silver base and are mounted on a square wood plinth. They can be engraved via a plaque attached to the wooden base. Available in five sizes up to an imposing 23.25in (59cm) tall.